Grace Thompson is a much-loved Welsh author of saga and romance novels, and a mainstay of libraries throughout the country. Born and raised in Barry, South Wales, she is the author of numerous series, including the Valley series, the Pendragon Island series, and the Badgers Brook series. 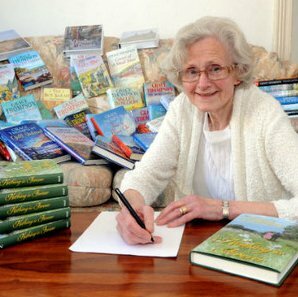 She published her 42nd novel shortly after celebrating her 80th birthday, and continues to live in South Wales. Grace typically spends her mornings writing and afternoons walking the cliffs and beaches of Mumbles and Gower.